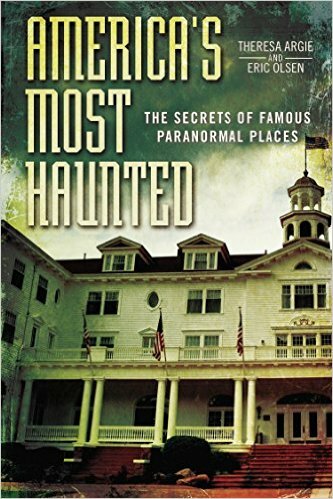 On an illuminating and revealing episode of After Hours AM/America’s Most Haunted Radio — Thursdays 9-11pE with hosts Joel Sturgis and Eric Olsen — we discover THE PAST LIFE PERSPECTIVE with author and past life therapist Ann C. Barham. We speak with Ann at 10pE; at 9pE Joel and Eric dig into the week’s freakiest paranormal news and try to figure out what’s up. Many people accept the principle of reincarnation — that we are eternal beings, animating many different human bodies and personalities across the ages – but many do not realize the profound, complex, and subtle ways that our past life experiences impact our current life and personality. With the rapid and dramatically effective approach known as past life therapy, clients retrieve their own memories of their prior lifetimes with the help of a professional psychotherapist. By unearthing and processing the memories, we release the experiences that are blocking effectiveness in the current life, as well as reinforce the talents and lessons carried forward from prior personalities. 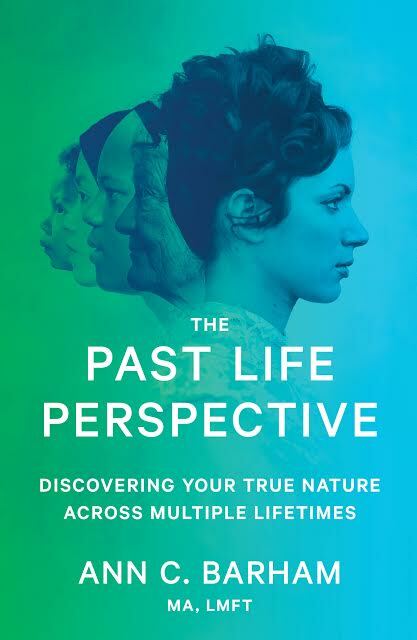 Ann C. Barham’s recently released book, The Past Life Perspective: Discovering Your True Nature Across Multiple Lifetimes, details sixteen years of Barham’s experience with past life regression therapy. By opening the files of her most fascinating and insightful client sessions, Barham demystifies past life therapy with a practical, down-to-earth approach. Sharing arresting tales from actual clients, readers are invited in to see how traumatic and pivotal experiences from past lives seldom stay in the past but continue to affect our actions, emotions, health, and relationships now. 1. You don’t necessarily need to believe in reincarnation and past lives to benefit from past life therapy; the stories that come up can be seen as powerful metaphors for what you’re facing in your current life. By working therapeutically with these stories, we can rapidly resolve enduring issues. 2. Past life therapy is quick and enduring. We often resolve long-standing issues that have resisted more conventional approaches, sometime including years of conventional therapy. Since we are working at a deep level, the changes usually are permanent. 3. We are often able to access levels of spiritual guidance that are difficult even for the experienced meditator to access on their own. Many people come away having lost their fear of death, having connected with loved ones who have passed, and having had a deeply felt experience of their eternal existence – similar to having a near death experience (NDE). 4. An increase in acceptance and tolerance of those different than ourselves. As more people embrace the possibility of having lived prior lives as very different personalities, holding different political and religious beliefs, being different races, nationalities, gender and sexual orientation than we might be now, we can increase our acceptance and tolerance of those different than ourselves, encouraging us to embrace and celebrate our diversity. 5. By connecting to our personalities from prior lifetimes, we can often bring forward talents and abilities we have developed in the past. We can actually connect with a prior self that can mentor us in handling issues in our current life, e.g., a prior personality who was very effective in business may help us with a current management problem. Ann C. Barham is a Marriage and Family Therapist licensed in the State of California, and a Certified Past Life Therapist with the International Board of Regression Therapy. After earning her Masters in Counseling Psychology at Santa Clara University, she pursued a traditional counseling practice for some years before turning her focus to past life regression work. Barham studied with some of the world’s preeminent past life practitioners of the time, including Dr. Brian Weiss and Dr. Roger Woolger, among others. As she developed her own, integrated approach, she found that she could help clients resolve enduring issues, often in a single session, as well facilitate significant spiritual exploration. 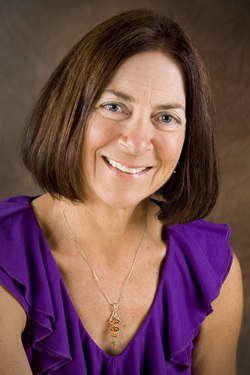 Barham came to the counseling profession as a mid-life career change, having spent many years in various aspects of tech business management, accounting, and marketing communications. She brings a very engaging and down-to-earth approach to what might otherwise be an esoteric subject. Barham lives just south of California’s Silicon Valley in the small town of Gilroy, best known for its world-famous Garlic Festival. Although raised in a conventional Catholic home, Ann had always been fascinated with reincarnation and the stories of prior lifetimes that people recalled under regression. However, she really questioned whether she could have such an experience herself. Then, when pursuing her mid-life career change from business management to counseling, she had a pivotal experience in graduate school. Toward the end of her Therapeutic Imagery course, the professor introduced the idea that occasionally clients might experience imagery that could be interpreted as past-life memory. He then invited h\Ann to be his demonstration for the class, investigating the origin of a foot problem with which she was troubled. She had undergone surgery, but was still experiencing pain and problems that were preventing her from hiking, playing tennis and pursuing other athletic activities. These were not the optimal conditions for the classroom regression: she lay down on the not-exactly-clean carpet in the front of a class of about a dozen people. The professor put her in a relaxed state, then directed her to the time and place where the problem with her feet originated. She was startled to find herself “seeing/sensing” an adolescent girl with Asian features and identifying with her. She/Ann was extremely upset because her family insisted on binding her feet. Not only was it painful, it limited her ability to move about and do things! Being strong willed, she decided to defy authority and tradition, planning to run away with the help of a household servant. However, she was caught in the act. This was considered a terrible disgrace for her family and particularly her father, who proceeded to sell her into servitude. She saw images of herself walking barefooted and in rags over rough and rocky terrain to a place far distant from her home, knowing she was under a cloud of shame for dishonoring her father. She worked for some time as a kitchen servant, and eventually took her own life because she could no longer bear the disgrace of her position. Barham’s professor moved her through the death experience, and into a brief life review, looking at the key lessons, and decisions and attitudes she had carried forward from that lifetime. An amazing part of the experience was the fact that her legs quivered uncontrollably as she lay in front of the classroom, as if giving off intense energy that had been stored in them. The even more amazing part was the next day: she was back on the tennis court with no foot distress, and her feet have been problem-free for many years since. Despite this concrete example of how quick and effective past-life work could be, she did not give much thought to doing it as part of her counseling practice for about six years, focusing instead on more traditional forms of therapy. But a sense that there was something missing in her work, something more she could do to help people more rapidly and on more levels simultaneously (physical, emotional, spiritual) led Ann back to past life regression. As luck would have it, within six months two of the world’s foremost experts in past life work at that time — Dr. Brian Weiss and Dr. Roger Woolger (now deceased) — each taught professional, week-long workshops at a retreat center about 1/2 hour from her home. With additional training and some time practicing on willing relatives and friends, she began to introduce past life work into her conventional therapy practice. She has been doing this work since 1997, and it gradually become the main focus of her professional work.